Again, for the money, I'm willing to make a bit of a compromise. The previous owner messed up some of the finish on the headstock which probably could be fixed, but I don't care right now. 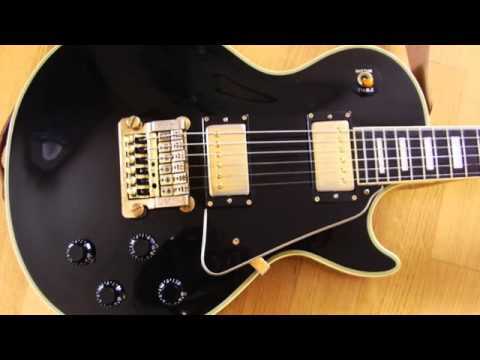 The big change, the 1982-83 Les Pauls In the 1982 catalogue something happened. Quality is pretty good, no issues with the finish. The individual who runs Bazarguitar. 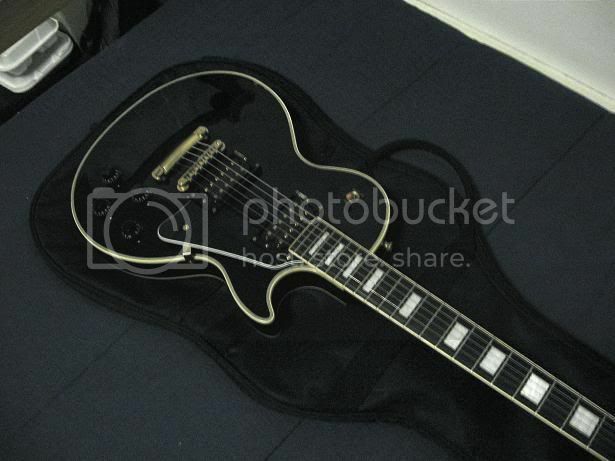 Better quality les paul: orville? greco? edwards? burny? These pickups was rather expensive 12. Any idea what type of pickups are in it? 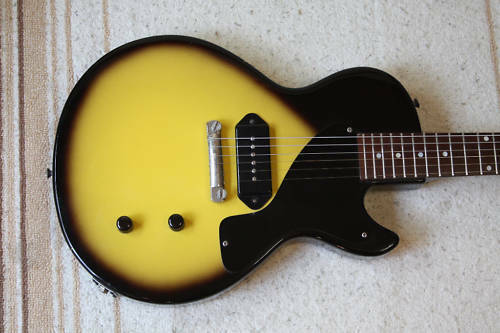 The only thing ive read about edwards is maybe a slightly wammy bar effect on moving the neck around. Our quality control team is responsible for all the guitar inspection from the selection of the wood to the guitar finish. These early Les Pauls all have the Les Paul gold script on the headstock, and stamped serial numbers on the back of the headstock. The Sykes model is a good choice from Edwards as well. It is lively with a pick or fingers even un-amplified which is a good sign. You get a nice guitar with a bit of history. Some people would be angry about its design and looks, stating that it is a copyright infringement. I wouldn't trade it for anything. It is our pleasure to share these information. I agree, it is light and the headstock is larger than any make I've ever seen. .
One can only imagine what you get for your money, but again, we have to assume that the more you spend, the better the guitar. 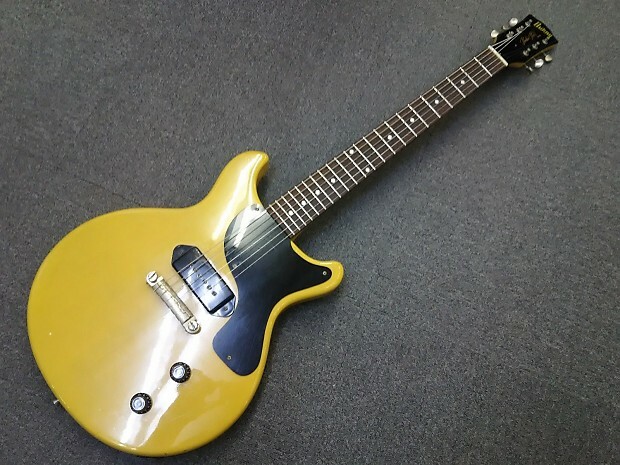 That model gibson is out of my price range, however, I have seen some copies that certainly look the part and have long tenon neck joints also. 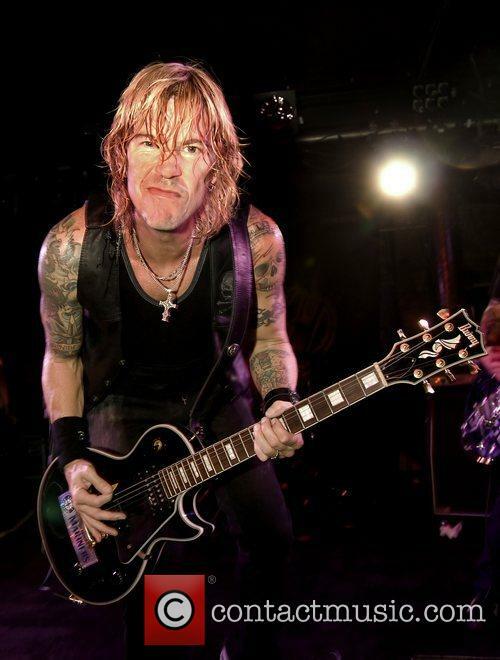 Indeed, there were three full pages of Gibson and Epiphone Joe Perry Boneyard knockoffs, and many of them used the same photo repeatedly. I have owned a few orvilles and other jap guitars from that era and still have an orville lp custom ri and a orville lp standard ri. Warning I have seen on a couple of occasions where some sellers try to modify a Korean version and claim it to be a Japanese model. 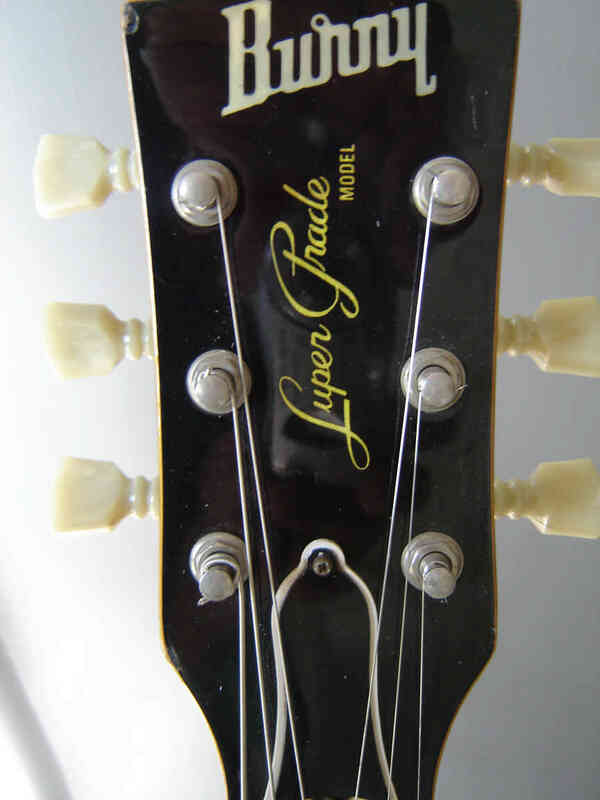 They even have Tokai black inked numbers on the back of the headstock. The description just called it a rounded profile. Mine's definetly a keeper - tho it will likely get some chrome covers for the pickups Some pics. Typical neck dive is present but manageable. I agree, it is light and the headstock is larger than any make I've ever seen. Sometimes You will find a later Burny with Greco or Orville features but most often they have there own characteristics. Yeah, I've owned a bunch of those. I just hope I'm cool enough for it! Many of those did not get a serial number from what I understand. In the front pickup the spacing is 3 millimetres narrower. My Burny knowledge comes from old catalogues, from my own guitars today I have 10 Burnys and I have owned ca. 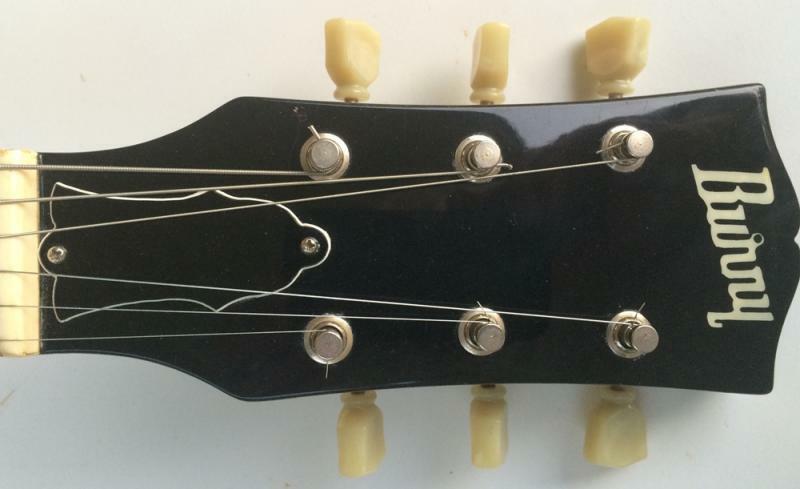 Then it became the headstock they use now. It looked great with a cool wide flame top which was real, not photo and not veneer. . The necks are like rubber and the hardware is cheap. But the good thing is I have never seen a bad Burny guitar. You've obviously done your homework so I'm not trying to argue but I had come to these conclusions by doing my own homework about my guitar. The Customs were all mahogany like the Gibsons. For roughly 40% the cost of a new Gibson, if you are willing to put in the upgrades, they're a fine guitar, assuming you try them first to make sure there are on issues, although all of the ones I bought, I bought unplayed. What seemed to work best was the neck pup at 10 the bridge at 7 and the tone at 3, at this point I had bass and definition and no finger noise. I'll post a pic of mine when I get it back.
. I did a couple hours of solo rehearsal no problem at all, and it will be my primary bass at our next show. It woke me up to how Gibson is ripping us off with top dollar for mediocre quality. Well for once jele is more than perfect. Especially when the 2 make can only be differentiated from the truss rod cover it is hard to tell by just photos. However, some of these are manufactured in Korea and China. Burny custom doesn't have ebony fingerboard, it's rosewood. I think the newer Burny's are Chinese. Then we get to the headstock. Check out this link and go to the history tab to learn more about these great guitars: I'm a long time reader but infrequent poster. So what didn't I like? I don't have any experience with the Greco-Burney-Edwards labels, but I do have an Epi G400 that is nice, but certainly not equal in any way to the my Std. But remember my observations are only guidelines. I've also owned Orville, Orville by Gibson, Greco, Tokai, Epiphone Japan, and even Edwards, etc. If you want a Les Paul go buy an Edwards or Burny or Greco. Fret work is surprisingly good, an area that I'm fussy about is fret sprout on the neck, a couple of my Gibsons needed some filing here as they got older and the wood dried out, this bass feels very good right from the box and the neck plays fast and easy. But they have no other id. From 1982 until 1985 no serial numbers on the headstock, but some of them have them in the neck pickup cavity. The discussion thread on the is! In an article from the U. Re: hum-dinger and nwobhm's comments, I'm new to electric guitars have played acoustic for a few years , so probably not too sophisticated a buyer.